Ready-to-drink bottled cocktail brand Nuba Cocktails has appointed us following a three-way pitch to undertake a business-to-business and trade public relations campaign. 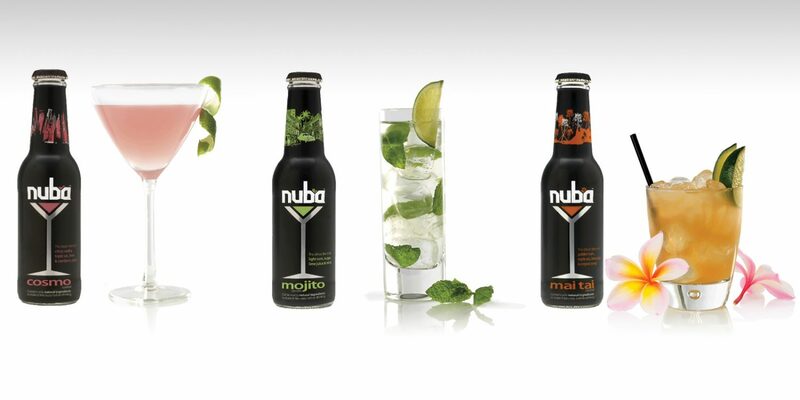 Developed in conjunction with expert mixologists, Nuba Cocktails’ award-winning drinks are available in Mai Tai, Cosmopolitan and Mojito flavours. The brand is owned by Leeds-based Euphoria Cocktails which was established in 2011 by entrepreneur Vicky Novis. She left her job as an accountant at KPMG after spotting a gap in the market for creating quality, authentic tasting ready-to-drink cocktails. We commissioned independent consumer research on behalf of Nuba Cocktails involving a sample of 2,000 women. The research showed that 83 per cent of women would purchase a cocktail in a hotel bar, music venue or whilst travelling on a train or aeroplane, highlighting the commercial potential for the brand. Nuba Cocktails has won several plaudits since it was launched. These include platinum awards at The Spirits International Prestige Awards 2012 for its Mojito and Cosmopolitan and gold for its Mai Tai. The brand also won best inflight food and beverage product of the year at the Airline Retail Awards 2011 and has been named Restaurant Magazine’s product of the month. Brand8 PR managing director, Rob Smith, said: “We are very excited to have been appointed by Nuba Cocktails. The brand has huge potential as pre-mixed cocktails are leading the growth of the UK ready-to-drink spirits sector which is forecast to increase tenfold to be worth £500m over the next five years.